Winter’s coming- so, that means “camouflage” print is as well, right? 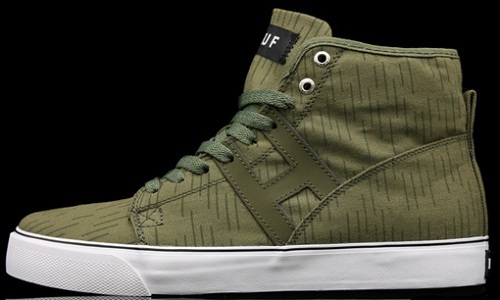 Having already shown you a camouflage Gourmet Uno L earlier today, we get a look at something similar from Huf Footwear. 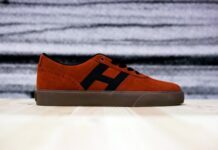 Pictured here is both the low-top Choice and high-top Hupper in what is being called a “rain camouflage” upper after what seems to be like traces of rainfall falling on a brown upper. 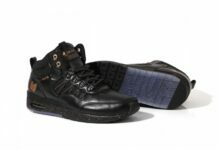 Both silhouettes are set off with the use of white soles; and, branding can be found by way of the tongue. 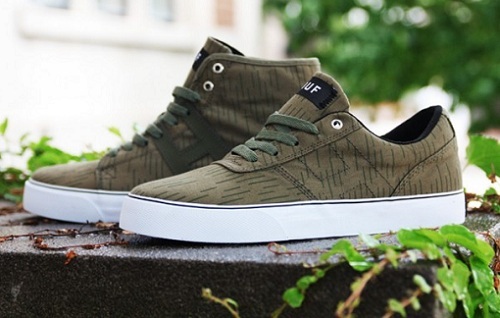 You can take a closer look at each of these “rain camouflage” designs now from Huf stockists.